Jason Hartman and Ken McArthur get together to talk about making an impact in people’s lives. People have the ability to make either a positive or negative difference in the lives of millions of people. Creating products and services or providing valuable solutions to problems can make a positive impact and Ken explains some of the techniques that aid in delivering that impact, such as color, sound, and repetition. Ken, best-selling author of “Impact: How to Get Noticed, Motivate Millions and Make a Difference in a Noisy World,” has enabled thousands of people to achieve amazing impact by championing the philosophy that partnerships and collaboration build value for everyone. Ken challenges us to realize we ALL have an impact – whether we want to or not – on thousands of people who we touch in our day-to-day lives by demonstrating that simple things make a HUGE difference. The popular host of a series of live events that bring together top-level marketers, entrepreneurs, business owners, corporations and non-profit organizations to create multi-million dollar joint venture relationships – he creates incredible, intense impact for product launches and multi-million dollar profits in surprisingly short timeframes. Regularly asked to speak at leading marketing events, he has managed product launches ranked in the top 400 sites on the Internet. 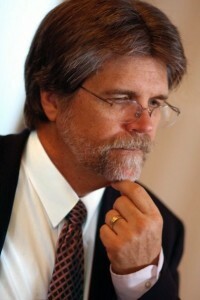 Ken McArthur is also the creator of AffiliateShowcase.com, a pioneering affiliate program search engine and directory system and the founder of the MBS Internet Research Center, which conducted the world’s largest survey ever attempted on the subject of creating and launching successful information products. Not satisfied to concentrate entirely on large organizations, Ken also works with select individuals to help them create a decent living utilizing the power of the Internet. Ken was the official mentor for Sterling Valentine as he took his launch from ZERO to over $100,000 in less than 8 days. Ken and Sterling documented the process as a “proof of concept” for Info Product Blueprint a massive home study course that is the “bible” of info product creation. Ken offers top-level coaching and mentoring programs designed to help individuals, corporations and non-profit organizations reach masses of people using the techniques, tactics strategies and systems that he has developed specifically to help people spread their ideas, products and services around the globe.